Thanks Turnbuckle for linking this thread. I have started reading through it and researching at the same time. It's true that the O.O. you linked is quite expensive.... at the same time, when you say: "....I ordered an oil harvested in November of 2015 with a polyphenol content of 608 (Pruneti Frantoio). Again, I found this even better. My next step—in the works—is a mix using an October 2015 oil with a polyphenol content of 917 (De Carlo Tenuta Torre di Mossa)......."
....... (I currently live in France.....)..it's In french but easily" google translatable"
Being even MORE expensive: ....would it be worth it? That is indeed very high, but I see two problems with it--no harvest date listed, and clear bottles. 1. The dissolution time for particles is inversely related to the surface area, and if you reduce the particle diameter by ten, you've increased the surface area by a like amount. You will not damage C60 by hand grinding. You could shoot it with a bullet and not damage it. But you want to do this quickly and minimize light exposure. Even room light is a problem. In fact, visible light may be even worse than UV. 2. You keep it running 24 hours a day with a dark cover to prevent light exposure. Minimizing oxygen is also good. Use a capped bottle with little air space, for instance. 3. Even that oil has less than 1 gram per kg of mixed polyphenols, which isn't that much, is it? So it's easy to add far more HT than is present naturally. See mix #8 of this post. 4. C60 and C70 have been shown to go to different places in the cell. C70 goes to the endoplasmic reticulum, where it can interfere with protein folding. You don't want that. 5. I have only a vague idea what these vendors are doing, and I don't trust any of them. 1. Thanks! Tons of info here. 2. So the room light is bad for C60 in particular or is it bad for olive oil or is it both? Why? Where'd you discover this? I'm guessing this is the reason for using amber bottles. 3. I read about C70 and how it goes to the endoplasmic reticulum but I couldn't find any conclusions about whether it was a good or a bad thing in that link you provided in another post. Regardless I am now even more wary about the 95.5% C60. Fullerene oxidation and clustering in solution induced by light. We investigate the environmental stability of fullerene solutions by static and dynamic light scattering, FTIR, NMR and mass spectroscopies, and quantum chemical calculations. We find that visible light exposure of fullerene solutions in toluene, a good solvent, under ambient laboratory conditions results in C60 oxidation to form fullerene epoxides, and subsequently causes fullerene clustering in solution. The clusters grow with time, even in absence of further illumination, and can reach dimensions from ≈100 nm to the μm scale over ≈1 day. Static light scattering suggests that resulting aggregates are fractal, with a characteristic power law (d(f)) that increases from approximately 1.3 to 2.0 during light exposure. The clusters are bound by weak Coulombic interactions and are found to be reversible, disintegrating by mechanical agitation and thermal stress, and reforming over time. Our findings are relevant to the solution processing of composites and organic photovoltaics, whose reproducibility and performance requires control of fullerene solution stability under storage conditions. C60 epoxides are actually better antioxidants than naked C60, but that is not good in the long run, as some of the antioxidant capacity is being used up. C70 is especially bad if you take it every day. I took a very small quantity twice a day and suffered cramping pains in my legs and a pulsing effect in my neck (in the spine, it seemed) that went away within one day when I stopped. I also took much higher doses in a single shot and didn't get any negative effects. Nevertheless, I would avoid C70 as much as possible. As for olive oil, some say it lasts forever, but don't believe it. Those who sell the better brands suggest a six month shelf life for an unopened bottle and a 1-2 month life for an open bottle. Freezing, of course, should extend that greatly. I noticed just now that the 50mg of C60 were dissolved in 10 ml not 100ml ! The filtering of the supernatant after a centrifuge, nobody making this at home is doing this part I don't think. Your reasoning was that it may filter out the polyphenols which you think are the key ingredient? Yet it didn't seem to have an effect on the study. Edited by Nate-2004, 12 May 2016 - 11:06 PM. 6) On the 5th day of stirring, I opened the airtight container. Once again, lots of guck around the edges of the glass. I used a spoon to take the guck out. The substance didn't have the same consistency as before. It resembled tar. Not sure what to do with it, I broke this large gob of tar into small pieces and threw the tiny pieces back into the container and turned on the magnetic stirrer. However, the pieces soon clumped together and stopped the stirrer from working. This tar substance seemed to have little solubility in oil. In the end, I took the gobs of sticky tar out and I've left them out. Now I have a question about filtering. Looking at the liquid being stirred, it's apparent that it's not totally clear, though I've been stirring the mixture magnetically (at a low speed) for 6 days. It's a bit cloudy. I'm wondering if the cloudiness is caused by the contents of the hydroxytyrosol capsules and whether this stuff ever dissolves completely. Should 6 days be long enough regardless of cloudiness if you crushed the c60 first? Edited by Empiricus, 13 May 2016 - 12:04 AM. The published paper had a number of errors in it, and this must be another one. If they had made only 10 ml of a .8 mg/ml concentration (the measured concentration after they'd filtered it), they would not have had enough for even their first trial. And no one selling this stuff would use such an excess as it would increase their C60 cost six-fold. As for filtering, I used to do that, but the lead author claimed in an interview with one of the vendors that it wasn't necessary. I'd also noted a rather viscous material left on the paper and suspected that some heavier component would be lost when I began upping the polyphenol content. Edited by Turnbuckle, 13 May 2016 - 11:39 AM. 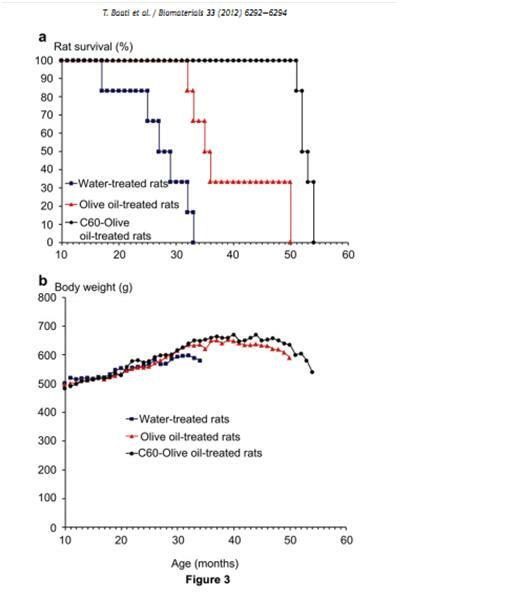 If this is Olea25, then 75% is not hydroxytyrosol, and evidently at least a portion is not oil soluble. Pure hydroxytyrosol is a colorless liquid and should not cause any murkiness. I've seen this murkiness from capsules of Olea25, by the way. I haven't seen the tar like material you described, but then I haven't tried to put in so much. I've prepared a solution of C60 (.6 mg/ml) and HT (from Olea25, .83 mg HT/ml) in MCT oil, for instance, that was murky initially, but when allowed to sit, produced a classic purple color with brown sediment at the bottom. MCT oil is much less viscous than olive oil, so the non-soluble sludge falls out readily. In any case, I don't see any problem consuming the sludge as you'd consume it anyway if you just swallowed the capsules instead of first mixing it with oil. As an experiment you might try dropping some of this tar like material in water to see if it dissolves. Edited by Turnbuckle, 13 May 2016 - 12:01 PM. I'm using Olea25. It's reassuring to hear that it's likely not c60 or HT and that HT is colorless. (I suspect pounding the sludge at day 3 with mortar and pestle was what turned it into a tar-like substance). As for colors, within an hour of adding the pounded c60, the olive oil became red. After I added the Olea25 it turned brown. It now looks maroon when I shine a light from bottom of glass container into liquid, but a small quantity in a clear glass jar looks amber. I can confirm that the sludge dissolves quickly in water. I made a dozen pill-sized balls out of this tar-like-sludge and put them in the freezer. Unbelievable that so-called scientific journals make it so difficult to publish corrections of errors. You keep it running 24 hours a day with a dark cover to prevent light exposure. Minimizing oxygen is also good. Use a capped bottle with little air space, for instance. I have a 200 ml beaker I'm using with a rubber stopper. The liquid is too dark (reddish tint) at this point to determine whether the stir bar is spinning properly and while I do see a slight depression at the top (which I have to use a little light to check), I'm not quite sure if it's stirring well enough. I only measured out about 160mg for the mix and probably lost a good 20mg in the crushing so it's probably down to about 70mg per 100ml or less considering I have a little over 200ml in there. It's probably right around 60mg at this point. This is the oil I got. How do you determine how well it's stirring? I'm wondering if the capped bottle has anything to do with the vortex size. In a cup the vortex is bigger, in this beaker it's not so much. Edited by Nate-2004, 18 May 2016 - 04:36 AM. If there is any depression/vortex you know it's spinning. Since you crushed the c60, I don't think the speed matters. Edited by Empiricus, 18 May 2016 - 04:44 AM. But you want to do this quickly and minimize light exposure. Even room light is a problem. In fact, visible light may be even worse than UV. Anyone know how much light is too much? I check it once a day which means some room light exposure for maybe 3-5 mins but not sure at what point it really begins to matter. That's good enough to ease my concerns. I do see a tiny vortex so I guess it's spinning. I don't mix in anything else but C60 and this particular Olive Oil is, relatively, much higher in polyphenols. Not sure how well it's mixing just due to that fact. A little less than three days in now. I am using the olive oil itself in my cooking too though. Not bad stuff at all. Makes my whole baked chicken taste amazing. I didn't want to add anything else since it would just take longer, plus if I wanted to take Olea25 or Hydroxytyrosol, why not just swallow them separately? Edited by Nate-2004, 18 May 2016 - 02:13 PM. You asked about light. I wouldn't worry about a few minutes because I imagine the olive sludge and the fresh oil would have been exposed to light for several hours already in the factory. So what's a few minutes on top of that? I've been thinking about that myself. And I think I'm coming to understand an actual advantage of adding Olea25 to the c60 in olive oil, beyond just getting the c60 into contact with more HT which was my original motivation for adding it. Anyway, when you swallow the Olea25 capsules whole, 75% of the stuff you consume isn't HT. It's other polyphenols. But when you add the Olea25 to the c60 oil, a lot of the non-HT drops out. It can't be mixed. What I'm finding is when I take the Olea25 capsules, I feel not so well. 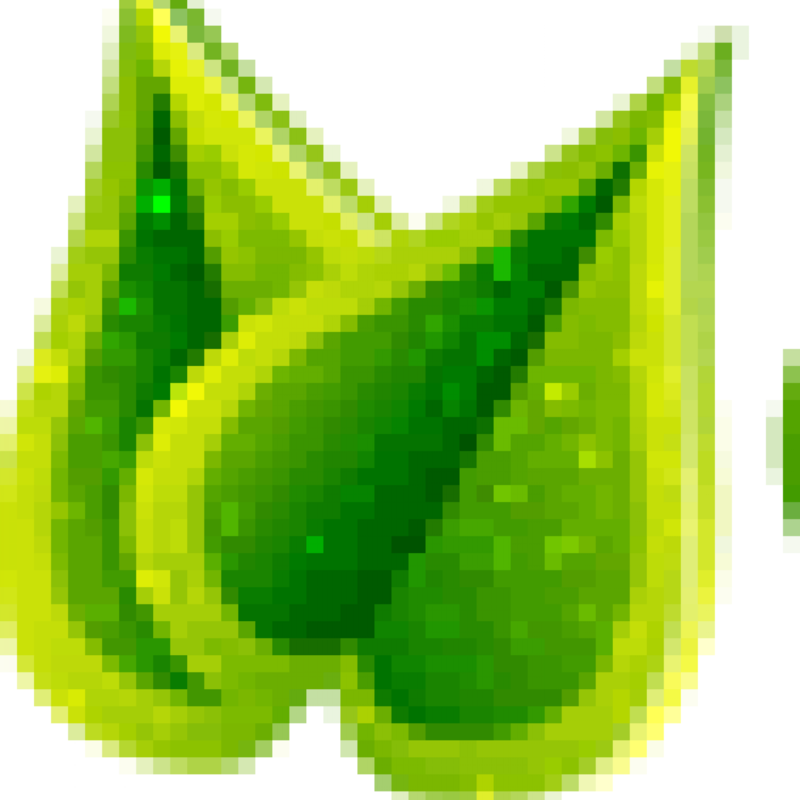 Also, I don't feel so well after I take oleopein from olive leaf. So I'm thinking I must be a bit sensitive to some of the polyphenols in olive, but probably not HT. I took my first dose of the fresh c60 brew the other day, and I felt OK afterwards. But yesterday I took 2 capsules of Olea25 and felt awful afterwards. What's the difference? As Turnbuckle explained, my c60 brew probably doesn't contain a lot of that other 75% of the Olea25 capsules. And it seems to be that some of that other 75% I have a bad reaction to. So by taking the HT via the c60 in oil, I avoid the drawbacks (for me) of Olea25. Well in regards to light, the C60 is what's affected by light, not the olive oil. I'm trying to find references and the only thing I can find that talks about light damage to C60 is a 1991 study comparing UV to infrared to visible and its effects on C60. Apparently UV has some harsh effects that degrade it considerably. Visible light was said to have a "trivial" effect. I am trying to find other sources on this to get details but I must not be searching the correct terms. The times mentioned in the publication were 10-16 hrs under UV light and the same for visible. I imagine I'm fine but who knows? Also how does the other 75% of what's in the capsules "drop out"? Are you filtering somehow? I don't know how old you are but keep in mind, with self-experimentation, it's just a sample size of one and it isn't controlled. There's no way to know what other factors may be involved in how you feel at any given time. There's always the problem of the post hoc ergo propter hoc fallacy with this. For instance I was losing more hair in the drain over the past month while taking DHEA for the first time. It was (I think) having a mostly positive effect on me till I discovered that. I assumed it was the DHEA and stopped taking it. The hair loss didn't stop. I began thinking it's something else. Perhaps a very recent hair product or the Topiramate I've been taking regularly up until now for ET/Mood stabilization were the possible causes. I stopped both the topiramate and got rid of that particular hair product. The hair loss seems to have stopped, but now I don't know what it was, it could have been either or both or neither. It could have been the DHEA but it took more time than I thought. I also started taking the Nicotinamide Riboside. There's soooo many factors including minor diet changes from day to day to sleep quality to who knows what. Unless the change is sharp and significant it's really hard to know if it's placebo, nocebo, or real. Nocebos are just as common as placebo. My hope is that I see some sort of effect on my Essential Tremor with this, not to mention any other possible benefits. It's just one more experiment for me to do while I wait for FDA approval on things that are taking forever. Anyway, when you swallow the Olea25 capsules whole, 75% of the stuff you consume isn't HT. It's other polyphenols. The present invention also provides a method of extracting Hydroxytyrosol from olive leaves in order to provide a dry powder product containing about 25% Hydroxytyrosol, said method comprising in order the steps of: soaking olive leaves in a solution of ethanol to obtain a liquid carrying extracted materials including Hydroxytyrosol and Oleuropein; concentrating the liquid carrying extracted materials to reduce its volume; adding bio-enzymes to the concentrated liquid carrying extracted materials, and utilizing the bio-enzymes to effect fermentation of the concentrated liquid carrying extracted materials; adding biological invertase, and utilizing the biological invertase in a bio-reactor to effect transformation of the Oleuropein in the liquid substantially entirely into Hydroxytyrosol; spray drying the liquid resulting from the prior step to produce a dry powder product substantially free of Oleuropein and containing about 25% Hydroxytyrosol. If it were other polyphenols, I'd expect them to extract it and sell it. ....effect transformation of the Oleuropein in the liquid substantially entirely into Hydroxytyrosol; spray drying the liquid resulting from the prior step to produce a dry powder product substantially free of Oleuropein and containing about 25% Hydroxytyrosol. That's helpful. The one clue I have is that with liquid oleuropein I experience certain negative symptoms; I get the same symptoms but to a lesser degree with Olea25; and to some degree I think I get them when I consume a large amount of olive oil (say, 5 tablespoons). Whatever gets to me, it can't be something specific to only the Olea25 processing. Edited by Empiricus, 18 May 2016 - 05:48 PM. Olive oil polyphenols get badly degraded by light--even indoor light according to a study of olive oil sitting on supermarket shelves. I wasn't aware that c60 could be harmed by light in the olive oil solution. See a few posts back where I described the process I used and Turnbuckle's thoughts on it. Personally, I'm not as concerned about my N=1 status as the fact that don't have many data points yet. Since it's speculation based on handful of observations I wouldn't have mentioned it, except that it seemed to relate direclty to your question about whether taking Olea25 capsules is different than getting Olea25 with c60. And the answer seems to be yes. And this could turn out to be important--at least for some people. Edited by Empiricus, 18 May 2016 - 05:45 PM. I had no idea about that part, interesting. Some olive oils from places like Trader Joe's are sold in clear bottles while the 3 bottles of OO I bought from Italy were sold in very dark amber (nearly black) bottles. The C60 damage from visible light was in reference to what Turnbuckle said earlier about damaging it. I assumed he meant the C60 not the Olive Oil but I may have misunderstood. Sorry about the annoying "advice". I am still contemplating whether to take the Olea25 right now or not. I think for now I'll go with the straight stuff from the original experiment except with the highest quality olive oil I can find. and sold by a specialist vendor with a good rep as the Mafia has a big presence in the industry and most of the OO sold in the US has been adulterated. Then I suggest you freeze it until you plan to use it. See these plots of the decay of OO properties while stored in different containers types. As discussed above, three outcomes of light exposure to C60, degradation, polymerisation and oxidation, may be expected. The first two are changes in the chemical species which generally occur upon UV irradiation. Visible light has been shown to induce C60 photo-chemical transformations and have been shown to have a low energy gap of approximately 1.8 eV, which excites ground state electrons in C60 to the excited state and causes oxidation in the presence of oxygen. There are multiple effects that c60oo has in the body, with a number of different pharmacologic mechanisms. There is more than one possible product formed when c60 reacts with olive oil, and the spectrum of effects that you see depends on the levels of the different products. One of the effects that I like is an immunomodulatory one that controls my eczema better than anything I've ever found, and also improves my breathing. I noticed that a batch that was poorly stored lost this effect over time, and speculated that it was being destroyed by oxidation, since the oil had been kept in a large partially filled bottle "sealed" with a cork. I made a batch using high quality ingredients and excluding air as much as possible. This batch, to my surprise, had no anti-eczema effect to speak of. I made a new batch where I ground the c60 in air, and used the same high quality oil. It had a little of the effect, but not much. I made another batch using a lower quality oil that had been in use for a while, and would be expected to have a much higher level of peroxides than the good oil. I used the same c60 as the previous batch. The first thing that I noticed was that the old oil reacted far faster; all solids were gone in three days, while the good oil took two weeks of stirring and still had some small specks. This new batch appears to have the desired anti-eczema effect, and also feels like the enhanced endurance effect is better. Recently, Franco Cataldo published a paper on the interaction of c60 with vegetable oils, and said that it goes through a peroxide intermediate. I think it might be the case that the peroxide reaction is faster, but that there are other possible reactions as well. It is likely that these other reactions, assuming they exist, result in different products, explaining the different pharmacodynamic effects. The upshot of all this is that you might be better off using a cheap oil for making c60oo, and using the good oil on your salad and vegetables. From this article it looks like the degradation was only 7% after two weeks visible light exposure, unless I misread the full text. Meaning less than 5 minutes here and there while mixing and making isn't going to hurt anything hopefully. Back in 2014 when Niner posted the above, most people testing c60 assumed it was easy enough to obtain quality olive oil from a supermarket, Costco, etc. Niner provides a comparison of different bottles/batches of store-bought olive oil and refers to this olive oil being of "higher quality" than that olive oil. How did Niner know which was, in fact, the better olive oil? I think that to know which of several olive oils is better you need to know their geographical origins (to the nearest village) and harvest dates. It's not clear to me that Niner had access to this information. Edited by Empiricus, 19 May 2016 - 02:32 PM. My take is that we may purchase presumably higher quality olive oils online from specialty boutiques like Amphora Nueva. Amphora lists harvest dates and oil chemistry numbers. If we trust these specialty companies to tell the truth about what they're selling, then the oils they provide are presumably healthier than chain store name brand oils. Chain store oils may be inferior since who knows how long they may have been sitting on shelves, in daylight in clear bottles, and without harvest dates and polyphenol numbers printed on their bottles. I believe that De Carlo is also a good source so far as I can tell. He is highly educated in this field and was our trusted and respected mentor and moderator before he was expected to pay for membership...! I soon learned to heed his advice and opinions and miss his presence here despite our many disagreements/debates. You would do well to do the same! ...IMHO. He did say that the effective oil "had been in use for a while". ie: Opened on numerous occasions and thus old/oxidised, regardless of its polyphenol etc content.. I have invited him to this topic. Perhaps he will elucidate, but he is pretty disenchanted with Longecity atm. Edited by Logic, 20 May 2016 - 01:22 PM. That's hardly an argument. In any case, when the original work was done, the researchers made a big deal over the oil being used, but then seemed to forget about it in their excitement about C60. They even sent some of the original mix to a member here to use in a trial on mice. It was years old by that point and didn't work out well. Similarly, most of the vendors pay only passing attention to the oil. When niner mentioned he got better results with a somewhat oxidized oil mix, that might have been true. I tried bubbling pure oxygen through the mix, and at first it did seem to be better. Which isn't surprising as C60 easily forms epoxides, and with one or two oxygen atoms stuck to it, is actually a better anti-oxidant. But the improvement soon disappeared for me, and thus I got to thinking about what had happened. We know the rat controls receiving fresh olive oil lived substantial longer than the untreated controls, one living as long as the C60 mice. So the polyphenols in the oil seemed the obvious source of this enhanced longevity (as compared to oleic or other fatty acids), and I came to believe that there was a synergy where C60 acted as a vector, delivering polyphenols into the mitochondria where they might not otherwise have an affinity. Edited by Turnbuckle, 20 May 2016 - 01:40 PM. Niner is always well thought out and thorough in his evaluations, so indeed I agree with Logic it is a good bet to heed his advice with that in mind. Sorry to hear he's not around - huge loss - kinda a travesty it might seem in my book from what it sounds like. Anyway, if by chance anyone wants bottled 40% Hydroxytyrosol paste we have some extra from within our reserve stock that we use for our own research. So my first real batch with the 95.95% is pretty much mixed and I'm trying it out. It's got a sort of brown/magenta color as opposed to the original greenish color of the oil from De Carlo by comparison to the oil I got from carbon60oliveoil.com it's more brown. I suppose this is normal? The taste is a little more peppery (not in a spicy way) than the oil from carbon60oliveoil.com. I assume this is the oil with the higher polyphenols.